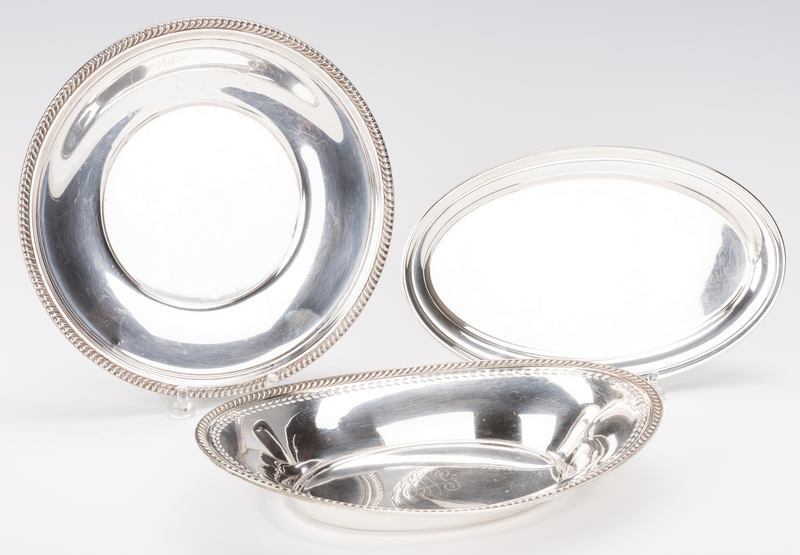 7 assembled sterling silver serving items, including Gorham Revere sterling bowl (41659/8), 4-1/4" H x 7-3/8" dia; S. Kirk & Son small Revere bowl 9175), 2-1/2" H; 2 small Gorham bowls, 1 with beaded rim (133), Gorham oval tray (124), 5-1/2" x 9"; Gorham round tray with gadrooned rim (473), 8-1/4" dia., and misc. bread tray with pierced rim, 1-3/4" H x 9-1/4" W x 6" D. 41.865 total troy ounces/7 items. 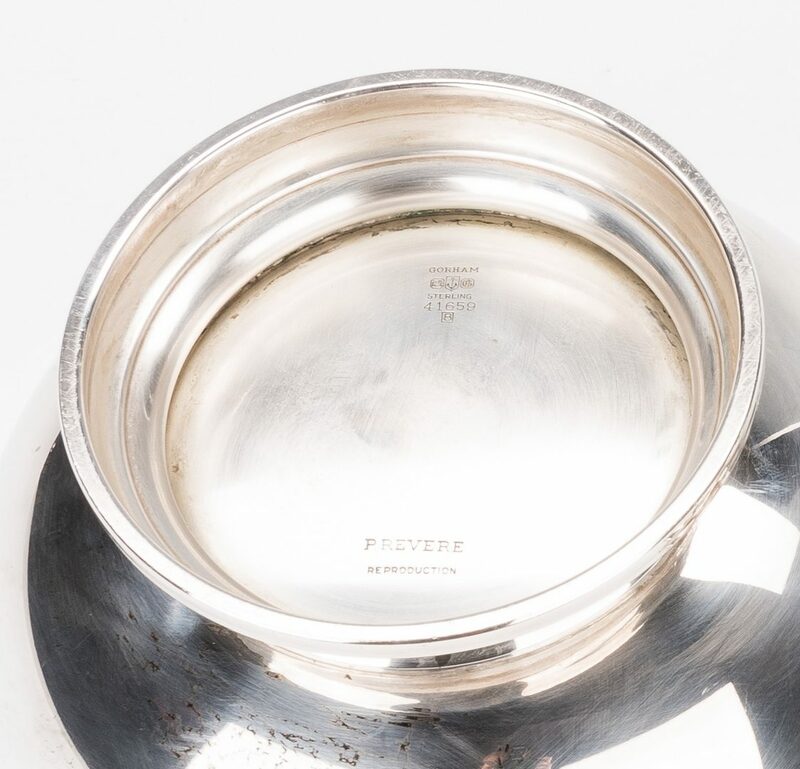 Provenance: Private Maryville, TN collection. CONDITION: Only bread tray with monogram. Other items in good condition.